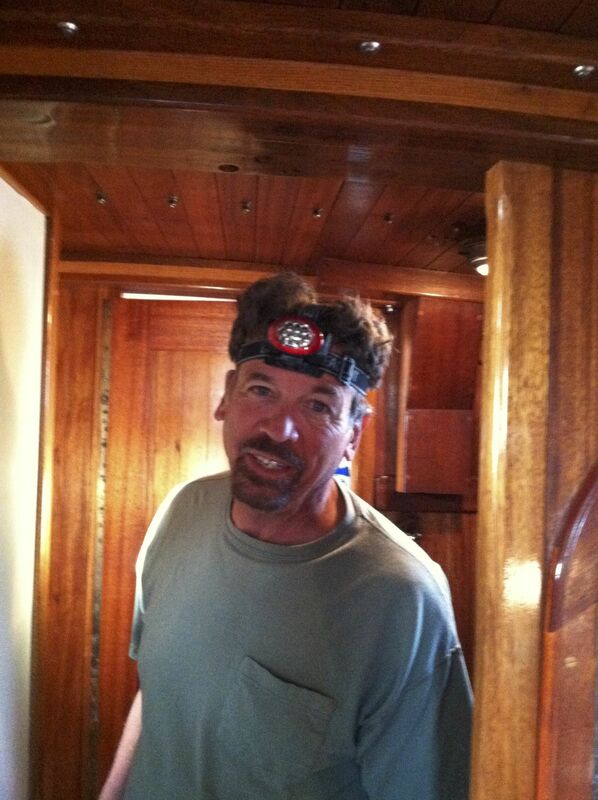 As with all new relationships there is a getting to know you stage and that is exactly what we have been doing with “Pablo” We have scrubbed down her decks and interior, started going through her lockers, and looking into every compartment and nook. There is much to be done to get her ready for the long voyage, but we hum while we work and though the days are long and hard they are satisfying (mostly). 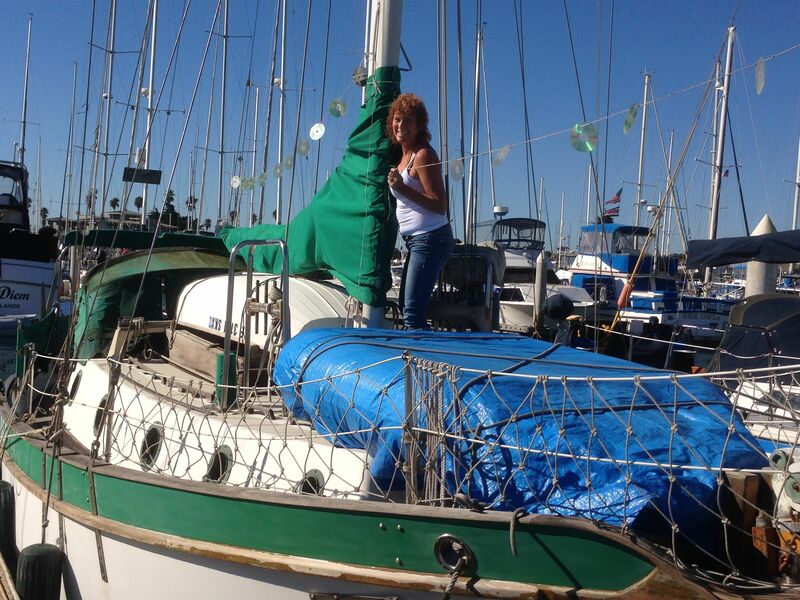 We will need a new engine and the mast needs to be removed, painted and to have the sheaves and lights worked on. Things for which we will have to turn to experts for help. 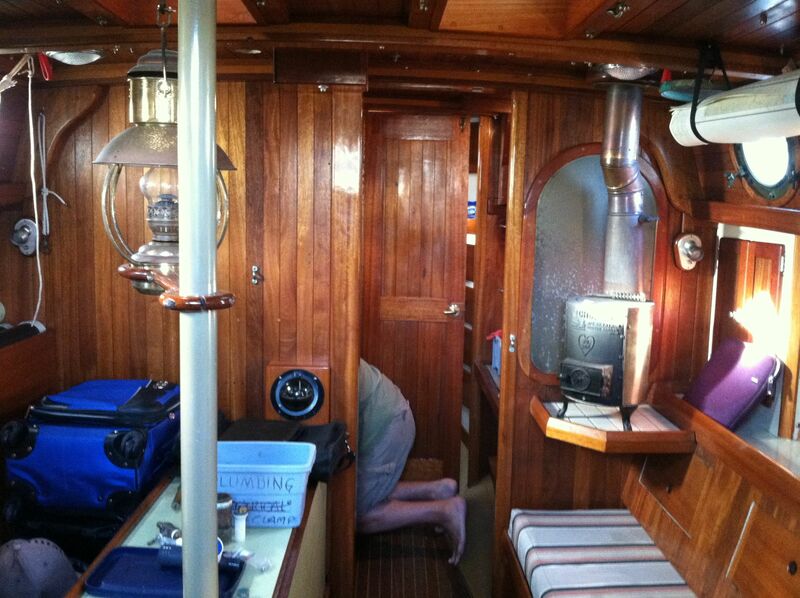 We ordered a new engine, a 38hp Beta marine, from Bud Taplin which should be here in a month or so. 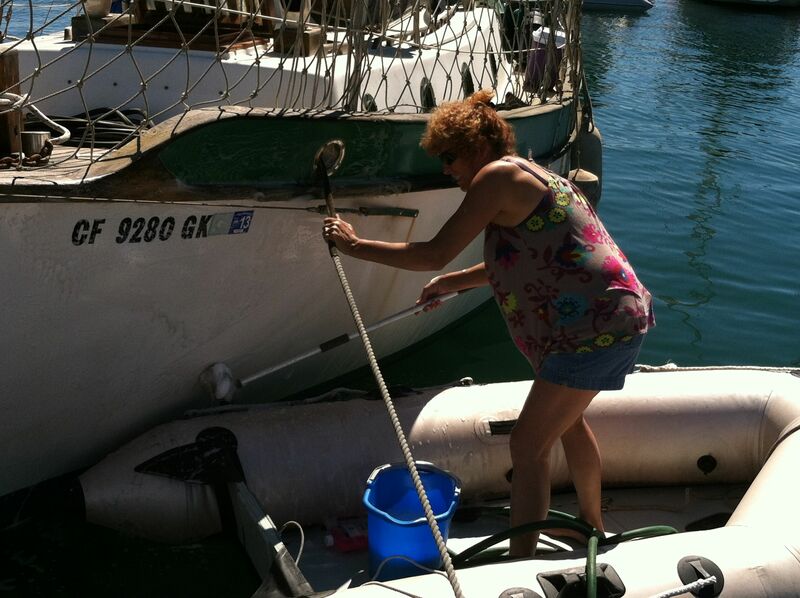 We have lined up a mechanic, rigger, painter and boat yard. Now all we have to do is coordinate the work. (ha!) That is easier said than done. We are finding out that everything takes three times as long as predicted and costs twice if not three times as much as expected. But we are still starry eyed over our new love. List: Remove raw water strainer and repair, fix the leaking head (human error, oops! ), repair three of the nine winches, replace life ring, flush and clean water tanks, replace interior bulbs with LED, learn fuel system layout, learn electrical layout, learn water system layout, check outboard motor, learn anchor set up, make new cover for outboard motor, repair running lights on bow and stern, and basically went over every inch of “Pablo” with a fine tooth comb. Soon we will do the prep work for taking her out of the water. That I am certain will be a whole new learning curve. One that we look forward to. Did I say we were having fun, because we are. We are loving every minutes of this, every success, every missed step, every lesson learned.